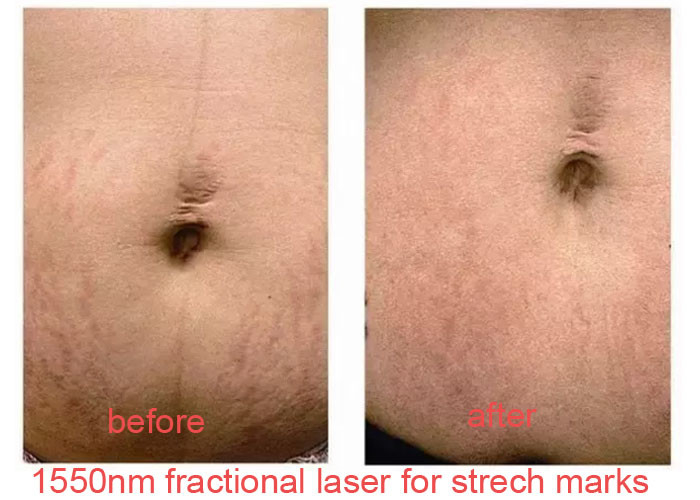 Stretch marks will not affect the health of thebody, it will not affect the normal skin function, but have impact of thebeauty of the abdomen. Its essence is the skin thinning, dermal collagen fibersand elastic fiber fracture, the treatment is mainly to minimize the early fiberbreakage, 1550nm laser wavelength with specific pulse width can selectivelypenetrate the skin, stimulate the damaged collagen layer, produce new collagenOrganization, new collagen tissue grows at normal speed, gradually repairdamaged collagen layer, improve skin texture and state, then significantlyreduce the appearance of wrinkles. In the initial operationof fractional laser treatment, there will be a hot feeling, this is the heat oflaser beam, the treatment time for one time is about 10 minites, the skinswelling phenomenon will occure after the treatment, it lasts about 24 hours.Two days after the treatment, scab as fine as the eye hole will occure, about 3weeks the scab falls off, the stretch marks significantly reduced. 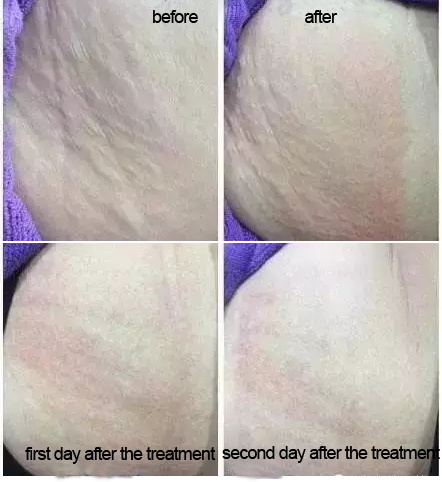 After a course of treatment, stretch marks began to breakdown a lot, the length and width of the markes began to decrease; roughly 2 to 3courses, stretch marks can be basically eliminated, the original silver-whitelines gradually began to dodge, the lower abdomen skin become smoother and fairer.